In today’s episode, I talk about the common pitfalls in writing medical school personal statements and how you can avoid them. Personal statements (right behind interviews) are where students fall short in their applications. The personal statement is an essay about you and your journey. You’re trying to convey to an admission committee why you want to be a doctor, your motivations, what’s shaped you, and your life experiences. After reviewing hundreds of personal statements, I’ve identified common trends and pitfalls in the preparation and execution of personal statements, which I will share in this episode to help you avoid them. Since this episode came out, I’ve published a book all about the medical school personal statement! If you find the following tips helpful, be sure to check out my book for more advice: The Premed Playbook: Guide to the Medical School Personal Statement. Waiting too long to do it. 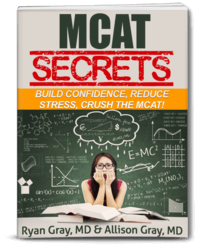 Premeds tend to focus more on things like the MCAT, getting together their extracurricular activities, writing descriptions for each of those, and getting their letters of recommendation done. While all of these are important, students fail to take enough time to go through writing several drafts for their personal statement. What you need to do: Write a draft, and write it again (and again and again). Get feedback on all these drafts from people who understand what the admissions committee wants. Show your premed advisors, for example. I also do personal statement editing if you’re interested in having me take a look. Overall, you should set aside time to go through at least a half a dozen drafts over at least a month and a half. Premeds tend to edit what they’re trying to write in their head. This leads to students feeling a lot of inhibitions while writing. What you need to do: “Write drunk and edit sober,” which means you need to be uninhibited as you write. Don’t worry about what you’re typing or writing. Just get it out of your head. Don’t think about what you’re writing—just get your thoughts out of your head. Once you’ve done this, then you can start massaging the message and crafting it into a strong personal statement. Failure to express your drive, motivations, and desire to be a physician. The admissions committee wants to see your passion and desire for going to medical school. And that is the fundamental message that you need to get across the admissions committee. What you need to do: Hand your personal statement to somebody and ask them, “When you read this, do you understand why I want to be a physician?” If they can’t answer that, you need to go back to the drawing board and write it again. And do this process again to another person, and repeat that as many times as you need to figure out and convey your message about why you want to be a physician. Thinking that personal statement is the place to air all your dirty laundry. Personal statements are a good place to mention your red flags, but don’t waste all of it on your red flags. You need to have space to get your strengths and desires across. Otherwise, you’re just making excuses about your red flags and selling why the admissions committee should look past them. What you need to do: Bring up your red flags briefly, but leave an opportunity for the admissions committee member to ask you more questions about that during the interview. Just briefly mention them and move on. The phrase “I am” is used too much by too many students. Any student can say “I am passionate.” Anyone can say “I am hardworking” or “I am empathetic.” It doesn’t even have to be true! Having a list of characteristics like that is not very evocative to read, and it’s not very memorable. What you need to do: Show, don’t tell. Step away from using the language “I am,” and instead, share your stories about patients who have affected you, the interactions you’ve had with patients, and the people who have shaped who you are. Sharing a story that depicts your sense of empathy is way more memorable than saying “I am empathetic.” Flesh out your story. Please, please don’t have any grammatical errors in your personal statement. Take it to the writing center at your university. Take it to a professional editor if needed. You’re putting so much time and effort into this application. Don’t let an easy grammatical error or misspelling be the reason you come across as careless or inattentive to medical schools. Check out my Personal Statement Writing Course to help you tell your story. Related episode: What Should Nontrads Focus on in Their Personal Statements? Related episode: Stop Wasting Space in Your Personal Statement and ECs.